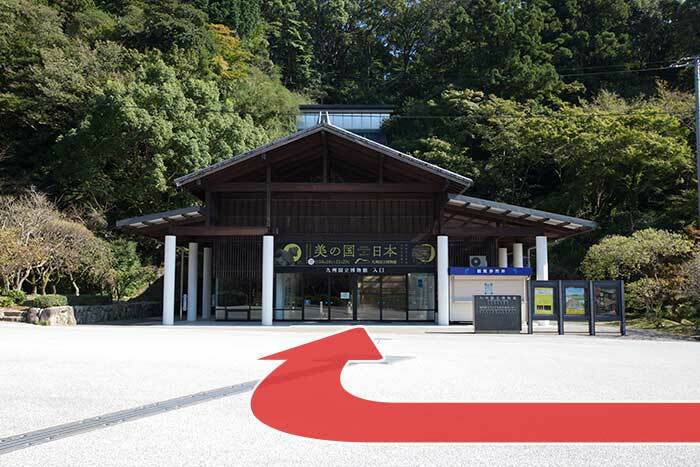 It takes about ten minutes on foot to get to the Museum from the Nishitetsu Dazaifu station. 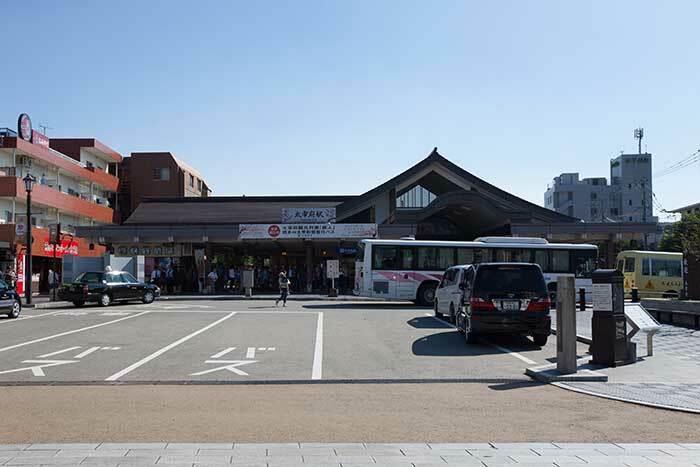 The station exit faces a traffic roundabout. 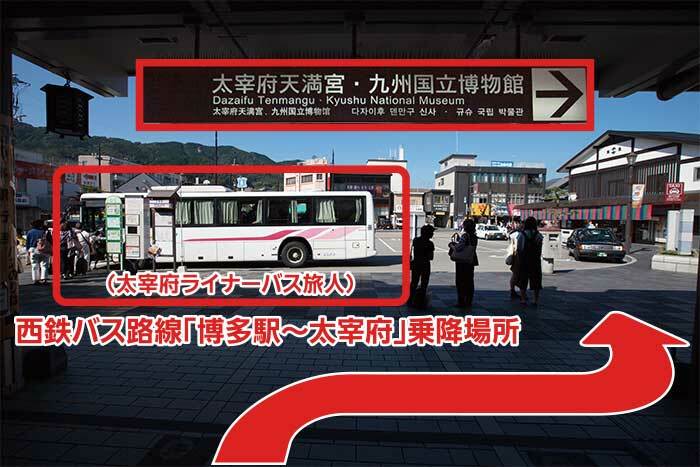 The Dazaifu Liner Tabito bus platform is at the roundabout. 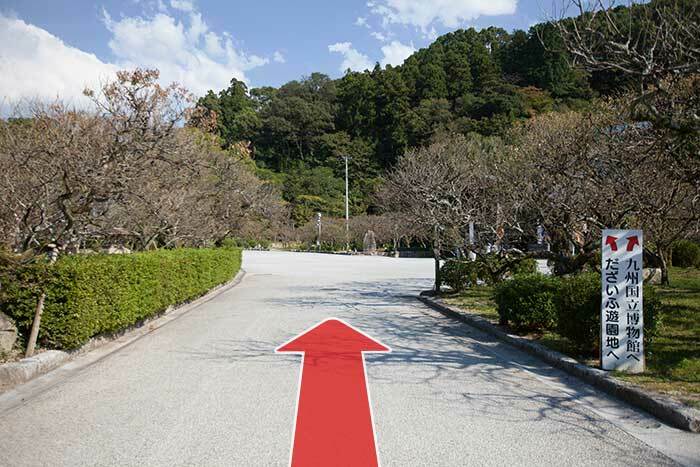 Head to the right side of the traffic roundabout to the path to the shrine. 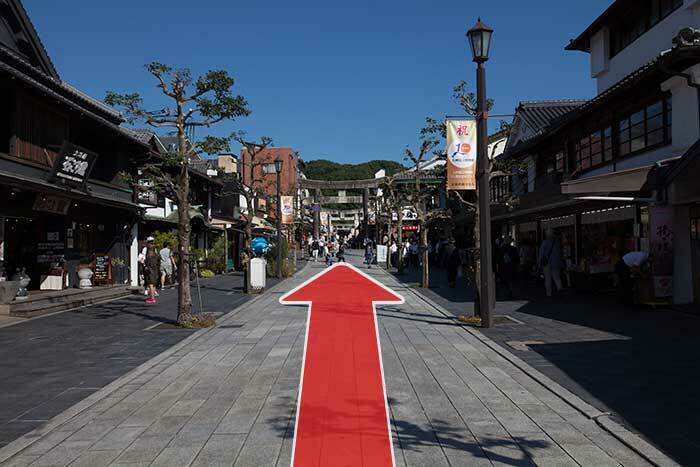 Walk straight for around 300m along the row of shops. 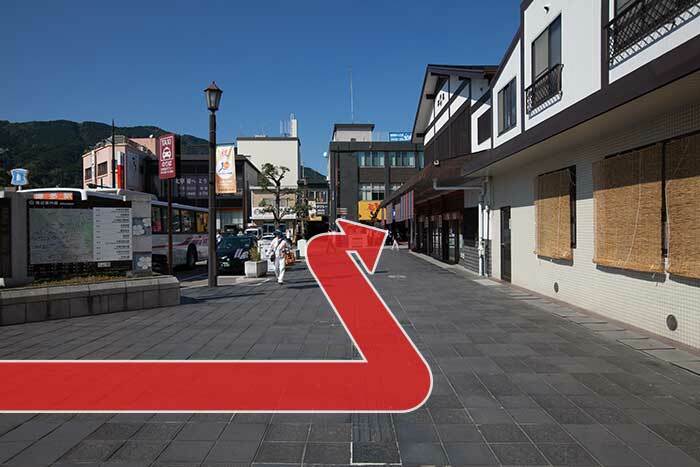 Umegaemochi is sold at many shops here. 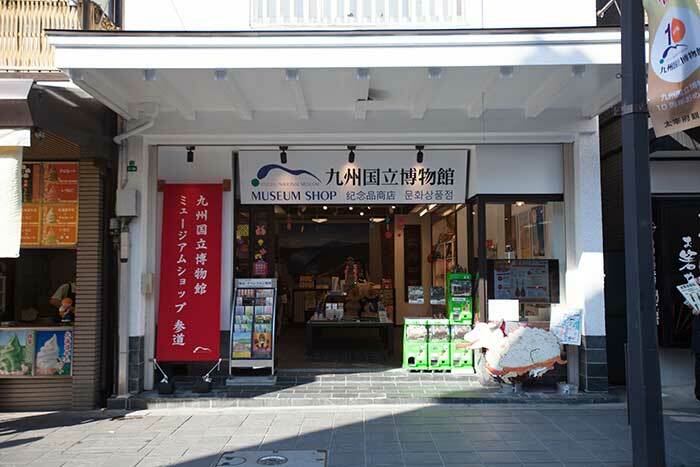 The Museum also has a souvenir shop along the path to the shrine (on the left). 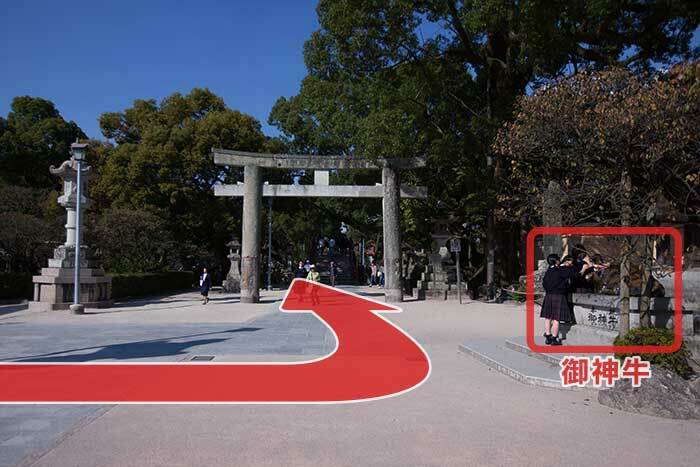 This path has a total of three torii gates. 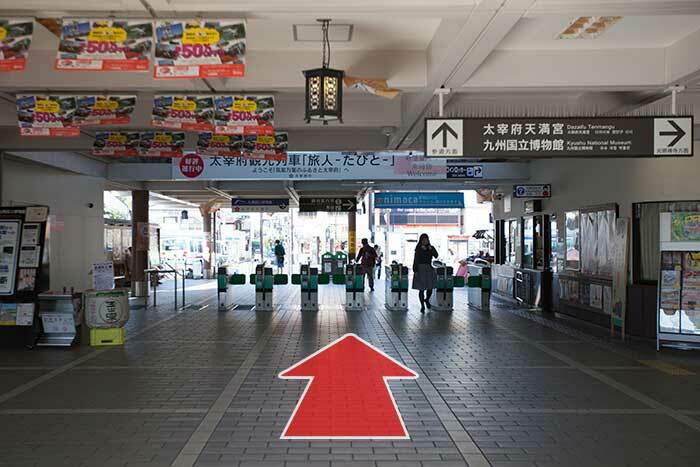 Pass through all three. 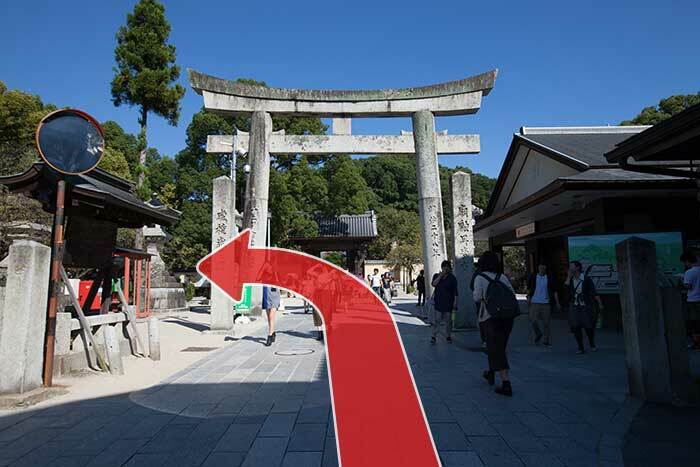 There is an information center on the right side of the third torii gate. 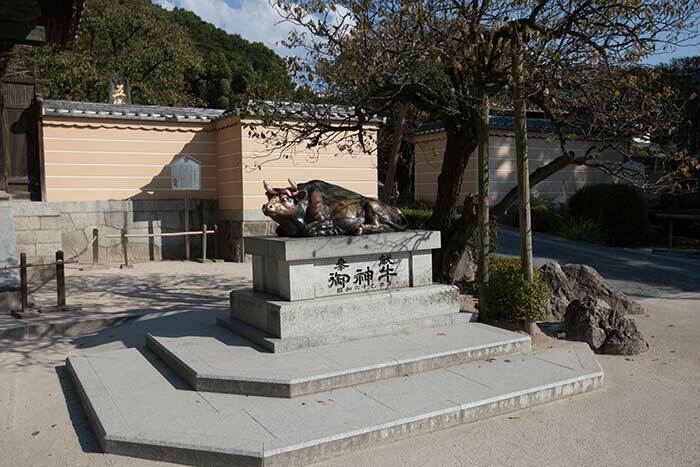 You will see Sugawara no Michizane’s sacred cow statue. 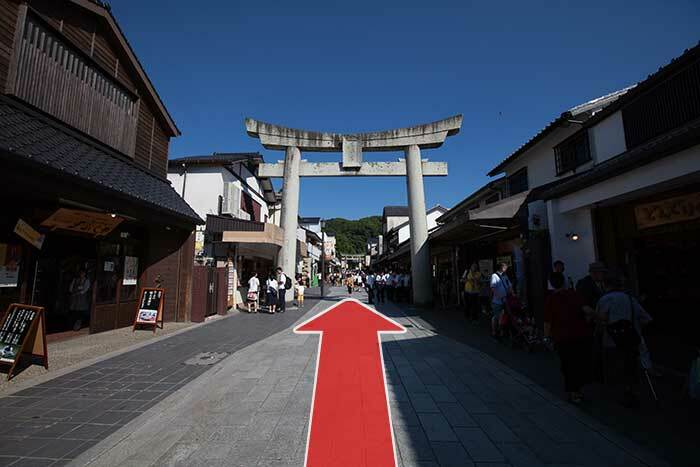 Turn left at Sugawara no Michizane’s sacred cow statue. 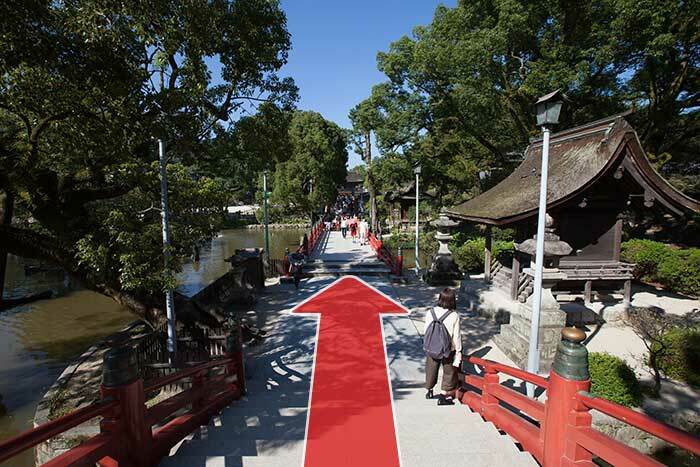 Going straight will bring you to the shrine. 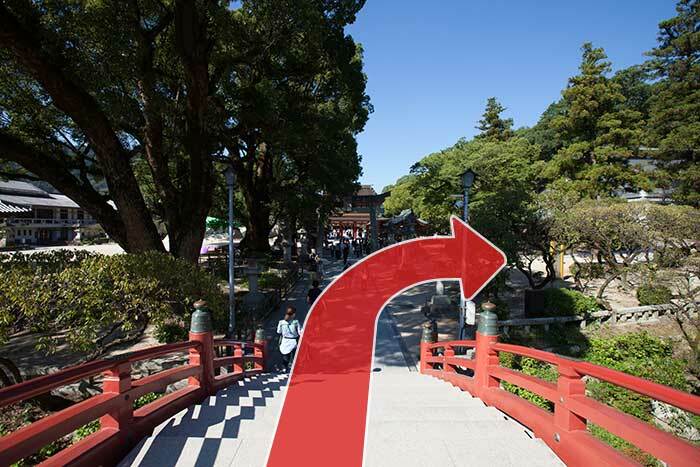 Turn left to go to the Treasure Hall or head straight to the Rainbow Tunnel. 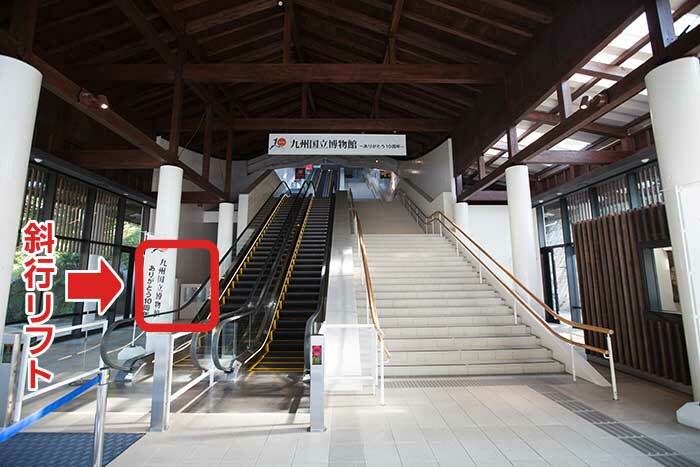 There is also an accessible lift for wheelchairs and baby carriers. 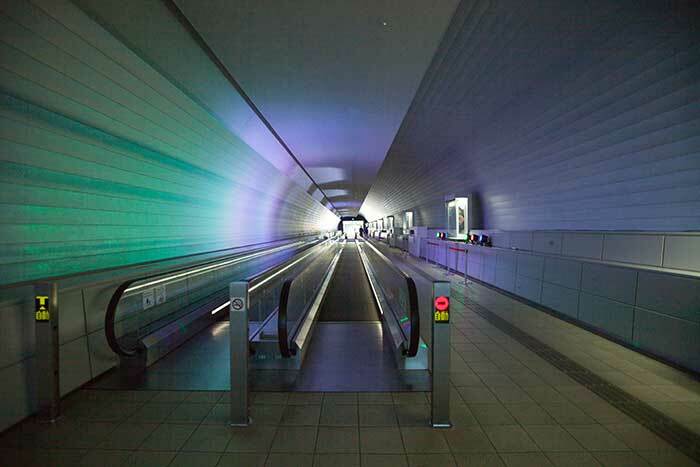 Go to the end of the tunnel. 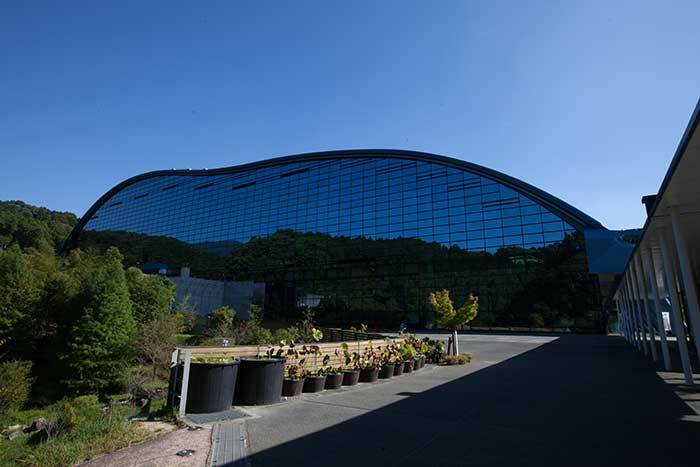 You have arrived at the Kyushu National Museum.